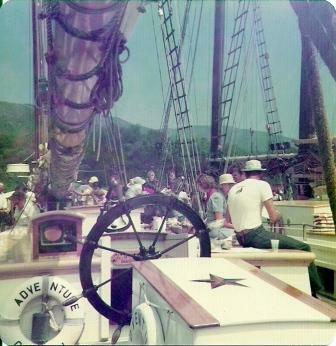 Purchased for $9000, Adventure was converted from a fishing vessel to a windjammer. 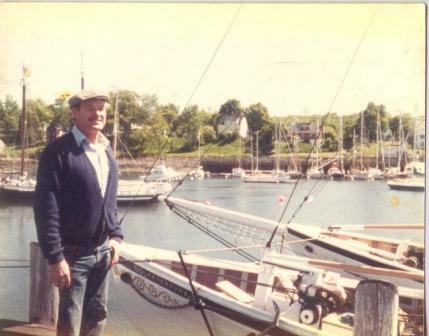 Her fish hold, engine room and foc’s’le were stripped and refitted with passenger cabins and larger table/eating space. 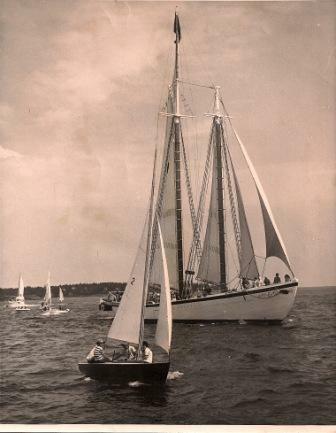 She was sailed out of Rockland, Maine, to the enjoyment of 100’s of passengers. 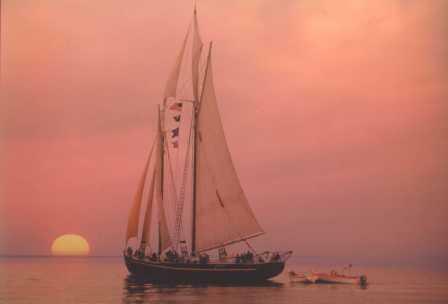 More modifications were made to Adventure to improve her including restoring full spars and sails. During the Jim Sharp years, Adventure was used in filming the movies “Sail to Glory” (1967) and “Captains Courageous” (1977). 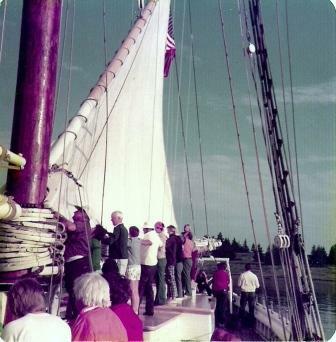 For 24 years, passengers enjoyed windjamming trips with Captain Jim.